You can export your Contacts to a file so you can use them in other programs. 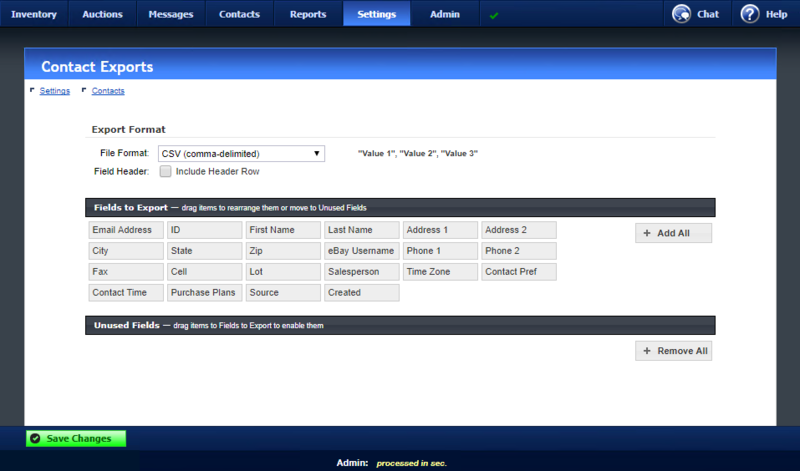 DeskManager and CRM already have their own integrations for passing WebManager contacts. 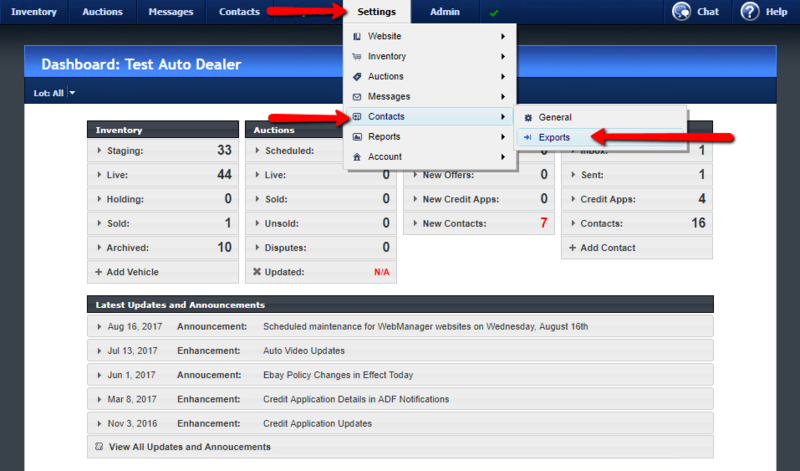 To access the Contact Exports Settings, hover the mouse over Settings, Contacts, then click Exports. Several file formats are supported and you can select and arrange the fields you want to export so you can create a file that is compatible with your program. The file format you will want to select depends on what program you want to add your Contacts to. Consult with your program’s documentation and configure your file format and fields to match. If your program can make use of a field header row or if you want the output to be more readable, check Include Header Row. This will insert a row at the beginning of your export file which contains the labels or names for each field included in the file. When you have selected an export format and which fields you want to export, a new section will be available at the bottom of the Contacts screen, which can be accessed by clicking Contacts at the top. Enter a start date and end date and click Export Contacts to generate an export file containing Contacts created between those dates and matching your currently selected filter. The export file will contain all contacts matching your filter, even if there are more than are currently displayed on your screen because of your page size limit.